If you want to remain healthy and protect your body from various diseases, you must have a well balanced diet that includes proteins, minerals, vitamins, carbohydrates and fat in the right proportion. You must also try to avoid eating too much of junk foods and oily foods. 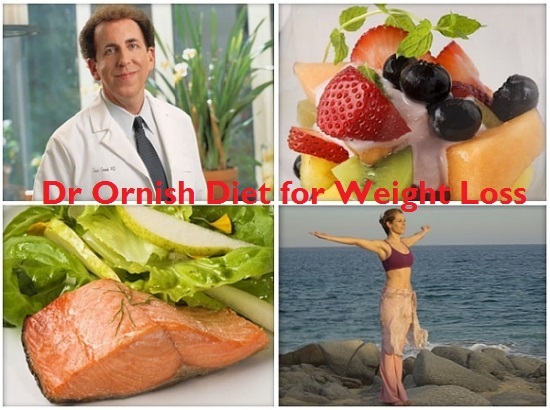 Ornish Diet is one such diet that is very effective for a healthy body. It can protect your body from various diseases that may threaten your life. This diet was introduced in the early 90s by Dean Ornish, who worked in Preventive Medical Research Institute in Sausalito. Some of the diseases that you can prevent by following this diet are breast cancer, diseases of the heart, obesity, diabetes, high pressure as well as low pressure and prostate cancer. It also helps in controlling the cholesterol level in the body and keeps it normal. This diet encourages you to eat lots of fruits, vegetables and grains and avoid foods rich in fat. If you follow it properly, you will get a lot of benefits from it. Along with the diet you also need to keep your body fit by doing exercises and yoga. They make you fresh and energetic and help in removing unwanted toxins from the body. Do 3 times a week in the beginning and then you can gradually increase it up to 5 times a week. Do exercise at least 30 minutes a day. Yoga helps you to get relief from stress and keep your mind fresh and relaxed. This prevents you from overeating, as you can see that many people overeat when they are angry and frustrated. Dairy products that you consume must contain low fat. You can take moderate amounts of milk, cheese, yogurt and so on. Have small amounts of meals at an interval of 3 hours. This way you will not starve and by taking small amounts of meals, digestion is made easy. Try to eat healthy foods like vegetables, legumes and beans, whole grains, fruits and so on. They are very nutritious and also help in keeping your stomach full. Smoking and drinking are always bad for the health. If you have these habits, reduce them or try to quit such habits when you follow this diet. Try to avoid red meat and white meats. Also avoid taking foods that have excess oil in them. This diet also suggests that you spend more time with your loved ones and get their support. This can greatly help you in getting the best out of this diet. Citrus fruit juice that is freshly made, one bowl of whole grain cereal and yougurt that is fat free. Salads made with vegetables and fruits with low fat cheese. The dressing used also should be low in fat. Breads made of wholegrain and vegetables according to your choice. Try to make it semi-spicy or non-spicy. You can have coffee, tea, water, skimmed milk and juices made freshly from fruits. After a few days of following this diet you will start feeling better and energetic. Then you can start indulging in activities that require less energy. You are now ready to do exercise, yoga or meditation, and control your body reflexes. You will start feeling more healthy and fit than you were earlier. This is an indication that your body has started accepting the change in diet and is responding well to it. Continue with the diet and slowly, as you lose weight, you will feel more energetic even though you are eating limited amount of food. All the weakness that you felt in the beginning will be gone and you will be more lively and energetic than ever. Do not lose hope with these symptoms. You body will soon get adjusted to the diet and the limited amount of food that you take. You will overcome the craving for eating frequently and taking large amounts of food. In the beginning, as you are switching from a normal diet to such a restricted diet, you may feel it too hard to follow and even may think of quitting it. You may also feel hungry at times but could not eat. If you are taking this diet for losing weight, you can see that you have lost some weight in the first 3 to 4 days. But you may not feel very energetic at this stage. Do not overstrain yourself by being too strict and overdoing the process. This may make you fell weak. Follow the diet plan step by step. Do not let your body subject to all the changes at once. It may cause more harm than good. You may not start the exercises as soon as you start the diet. This may make you feel very weak. Follow the diet and start the exercise gradually, especially if you do not have the habit of exercising regularly. If you are taking any medicines, you have to consult your doctor and take his advice before you start the diet. If you are suffering from cardiovascular problems and following any diet to cure or prevent the problem, then you must consult your dietitian before taking the diet and ask if it is safe for you. rnish diet plan is not recommended for children, pregnant women and teenagers as they need more energy and nutrition. This diet plan is not very easy to follow and you may have a tendency to quit it in the middle. So, stay focused and don’t stop the diet in the midway. This needs a lot of determination and will power. I posted something useful that might be helpful towards your journey to weight loss.